Having a comfortable place where you can freely exercise for your daily workout is essential. It's also important that your chosen fitness center has all the state-of-the-art gym equipment and amenities that you need. So before you enroll in a health club, you need to give it a try first. Here is great news for those who are interested in signing up for a gym membership. Salem Fitness Center is inviting yoou to try a FREE 3-Day Gym Pass. Get a feel for the complete fitness experience we offer before you join. This trial membership is a great opportunity to try out classes, experience the feel of the environment, and get comfortable with the flow of the gym. For 3 days you can have full-access to the facility. What are you waiting for? Don't miss this great promotion. Request a 3-day pass by filling out the free-gym-pass form . Then, stop by the front desk and activate your 3-day pass right away. Contact Salem Fitness Center for further details. 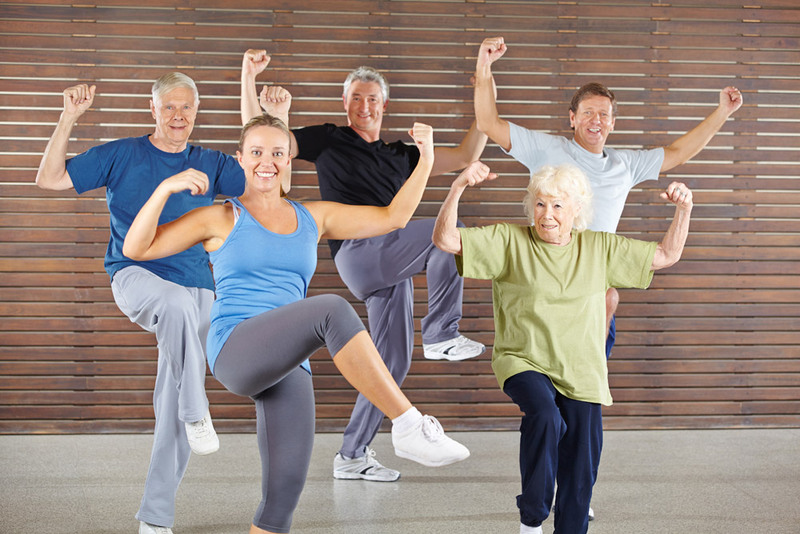 "Sweating to the oldies" is a fitness program designed exclusively for seniors. In this workout, seniors are taught on how to execute an aerobic exercise routine which is deliberately designed to restore the strength in aging joints, bones, and muscles. With these simple steps, seniors can safely exercise their entire body. This physical fitness program developed for seniors can help maintain good posture and flexibility. Followed by safety guidelines that involves breathing while executing the exercise moves and keeping the routine less intense, the workout is perfectly safe for seniors to perform. Furthermore, having a venue where they can interact with others is one way to keep minds active and healthy as well. Thus, having them join this fitness program won't only yield great effects on their body but on their mental health as well. Sweating to the oldies in Salem, MA aims to improve the quality of life despite entering the aging phase. This fitness program for seniors can keep infirmities at bay for regular exercise coupled with healthy diet can boost the immune system. Moreover, a good circulation can ward off cardiovascular and degenerative diseases which commonly develop as we age. Find out more about the benefits of this program, contact Salem Fitness Center. Having the chance to learn self-defense while losing weight at the same time is the complete fitness package for women. Women's self-defense class in Salem, MA is a brilliant strategic training class that incorporates martial arts into daily workout routines. Participants can learn basic self-defense moves that can be called upon if and when needed. Women's self-defense class offers lessons on scenarios that could require self-defense techniques so women can feel safe and confident in their ability. By joining women's self-defense classes, not only will women learn the right punching and kicking form, they will build strength and confidence. Developing strength and confidence is vital in properly executing self-defense moves. You can gradually master these techniques when you regularly participate and train in the class. Women's self-defense workout classes also enables women to tone their body and lose weight. Now they can be even more confident in facing the world with a leaner and more sculpted body. Having so many benefits to one workout makes it the right workout for so many women. If you are interested in more information, contact Salem Fitness. Although weight loss is the common fitness objective for both men and women, women though have other particular fitness concerns. A flatter tummy and overall slimmer figure are the primary fitness goals. Thus, having an exclusive exercise room solely designed for women is an effective way to keep them pump up with their workout without worrying about invasion of privacy. Women's only fitness area in our Salem, MA fitness center offer workout programs that address common body issues. Aside from weight loss, we focused on muscle toning to achieve a more shaped and sculpted figure. We also offer yoga and Pilates that can help correct postural issues such as those who are suffering from scoliosis and other spinal disfigurement. 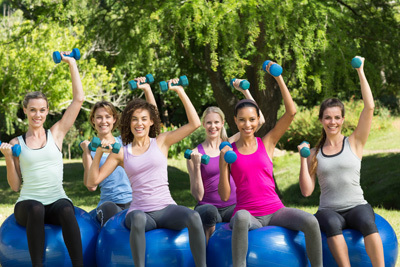 The workout programs are not limited to address aesthetic body concerns of women but in fact, our objective is to improve their overall health and wellness. Our women's only fitness club provides the privacy women need so they can perform movements and execute positions properly. Any workout routine can only be effective when the participants can move freely to their maximum potential. Contact Salem Fitness to find out more about our exclusive fitness area for women.